University of Information Technology and Sciences (UITS), the first IT-based private University in Bangladesh was founded on 7 August 2003 as a non-profit organization. 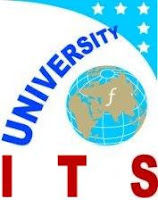 Information Science and Technology Solution Ltd (ISTS), a concern of PHP group headed by Sufi Mohammed Mizanur Rahman Chowdury is the sponsor of UITS. It endeavors to remain at the cutting edge of building knowledge and skills, integrated with human values and ethical practices in Bangladesh. It is a science and technological knowledge-based center that provides marketable skills for younger generations who may be gainfully employed both nationally and internationally.